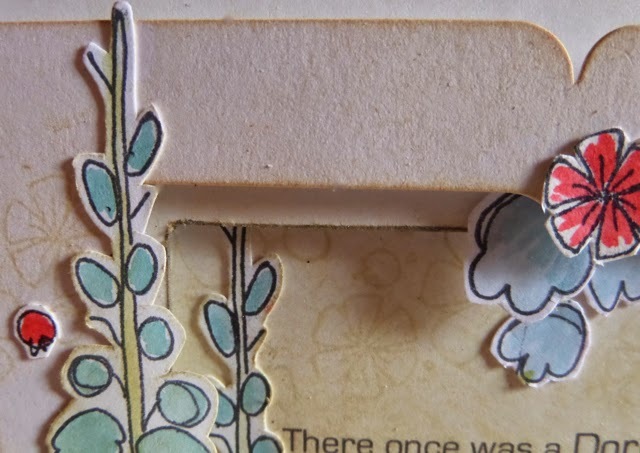 While I was making the little tent card on the blog a couple of days ago, the tall flower spikes in the JOFY stamp set reminded me of the blue delphiniums we used to have in the garden and a poem I used to love reading when I was small. I was from the wonderful world of AA Milne, he of Winne the Pooh fame and was called 'Now we are Six' . Its packed full of the most fabulous poems, all of which I loved but this one was always my favourite, so I thought I'd share it all with you. 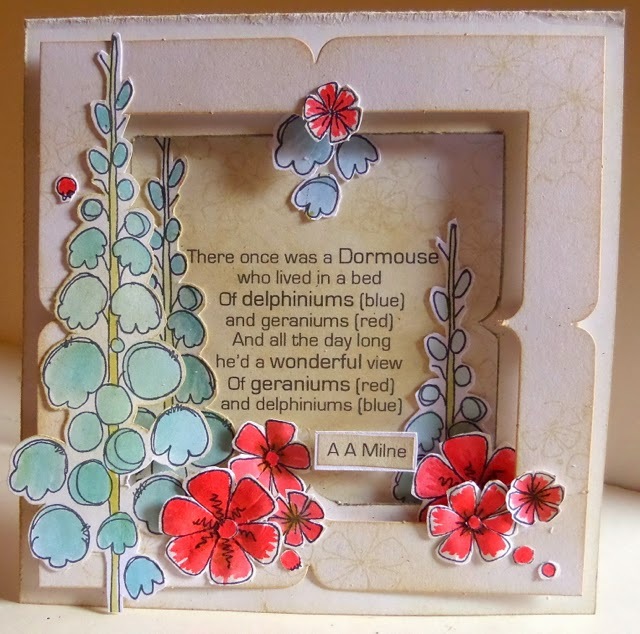 Of delphiniums (blue) and geraniums (red.)" Very cute Clare and I love your little poem/story!! I just got home it's 11:30 p.m. from my crop, got 4 more pages finished!!! Hooray and had fun as well!!! Take care, will be checking to see your new post and seeing if there is a new video as well!! Ohhh, I used to have the entire collection! (ok, who am I kidding... I still do! lol) My favourite was always "BAD SIR BRIAN BOTANY" from the "When we were very young" book. It was just so daft! And to this day, I still rattle off "Forgiven" every time I see a beetle! lol. I was so obsessed with the Milne as a kid, my parents nicknamed me "Pooh Bear", which has also stuck. Sweet poetry. A.A.Milne was a wonderful writer. What ever would we do, without Winnie the Pooh? 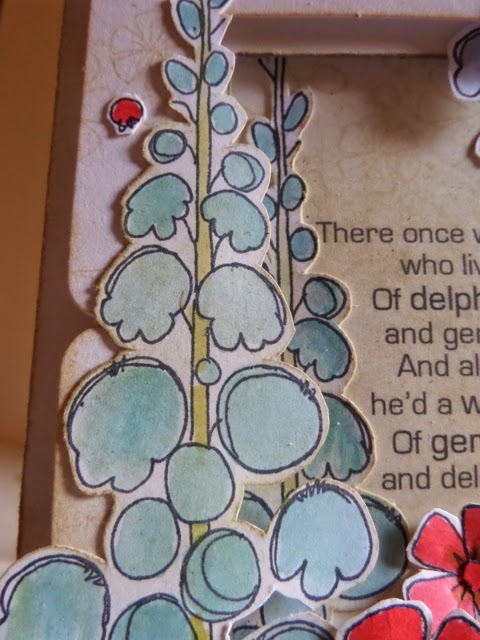 Super card - Love this poem - but also love Winnie the Pooh and Tigger too!! 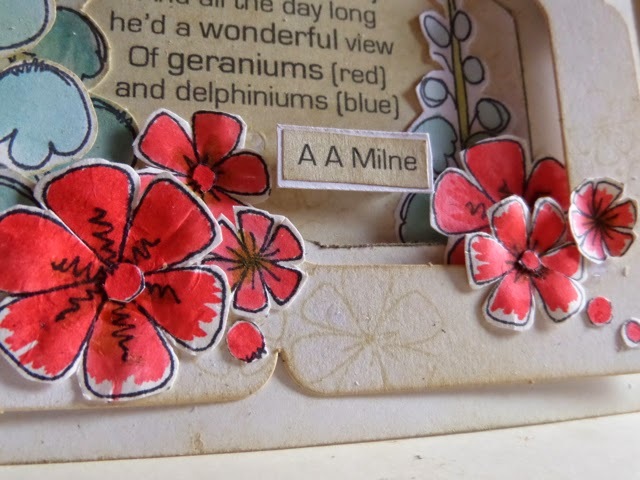 Hi Clare, A stunning card and a really lovely poem. Very pleasing card...and a lovely poem with a message to appreciate that which we already have. Thanks!